I have entered into a partnership to purchase a 2 year old Louisiana-bred thoroughbred filly with the intent on racing her in Louisiana. Because Louisiana has four race tracks, we will be able to race year-round for attractive purse money. 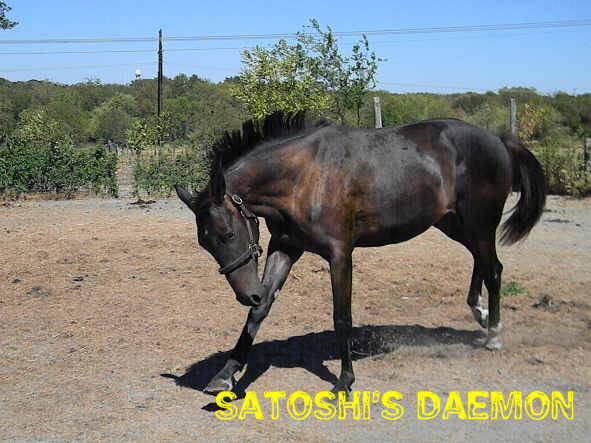 The horse has been named "Satoshi's Daemon". 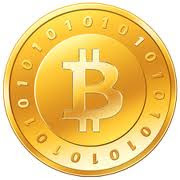 To try and offset some of our initial costs, we're going to offer what we call "Bitcoin Interest Rights" (BIRs) for the entire career of the horse under our ownership. When the owners take money out of the partnership, there will be an equivalent bitcoin dividend paid to all BIR holders. A portion of all winnings will have to be retained to maintain the horse. When the horse is claimed or sold, BIR holders will also get their pro-rata interest in the sale. Please visit the website for complete bylaws. Planning for first race in January, 2012 at either Delta Downs in Vinton, La. or Fair Grounds Race Course in New Orleans, La. We'd like to maintain a balance of ~ $3,000 while racing. Purses range from $9,000 - $35,000 for Maiden races, where Satoshi's Daemon will start. Trainer/Jockey commission may seem high, but we are getting preferential training rates. If Satoshi's Daemon goes onto bigger purse races, this could possibly be re-negotiated with the trainer, but the jockey commissions are standard and set by the Louisiana Racing Commission. Taken from Sataoshi's Daemon website where current updates can be found also. We are excited about the addition of Satoshi's Daemon to our racing stable. She is a 2009 Louisiana-bred filly by Southern States (father) who is the son of stakes-placed winner Southern Halo (her grand father) who was the leading sire in Argentina 7 times while siring 170 stakes winners and 19 champions. The dam (mother) of our new prospect is Honalua Honey who broke her maiden on the turf with Maiden Special Weight company. She has produced (mothered) four other foals of racing age with all becoming winners. Honalua Honey's sire (father) is Manila who is a multiple stakes winner. He was the 1986 Eclipse Champion Turf Male (USA). He was also inducted into the National Museum Racing Hall of Fame in 2008 while winning 12 of his 18 career starts with over $2.6 million in earnings. Satoshi's Daemon is a versatile, well bred prospect with a bright racing future. Sataoshi's Daemon has been listed on the exchange since October 2011. The current share price is 0.11 with a recent thirty day trading volume of three shares valued at 0.61BTC. creative writing abilities has encouraged me to get my own web site going now. Really blogging is spreading its wings and growing fast. Your write up is a great example.